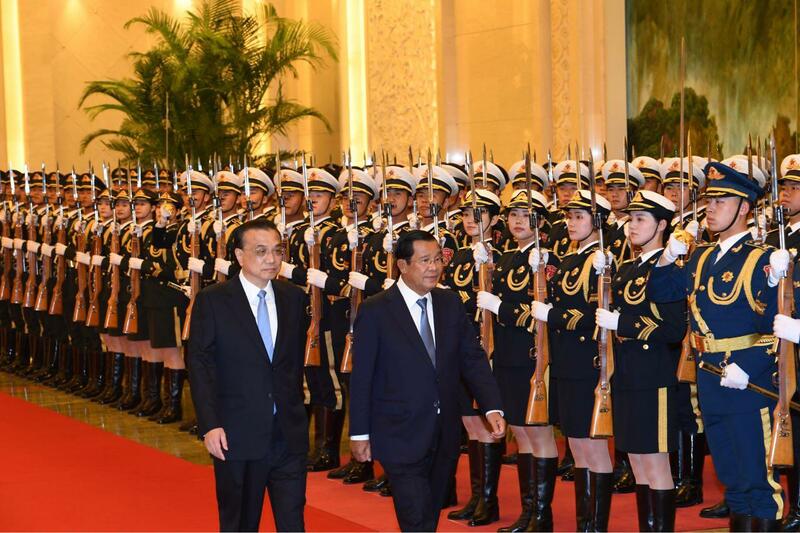 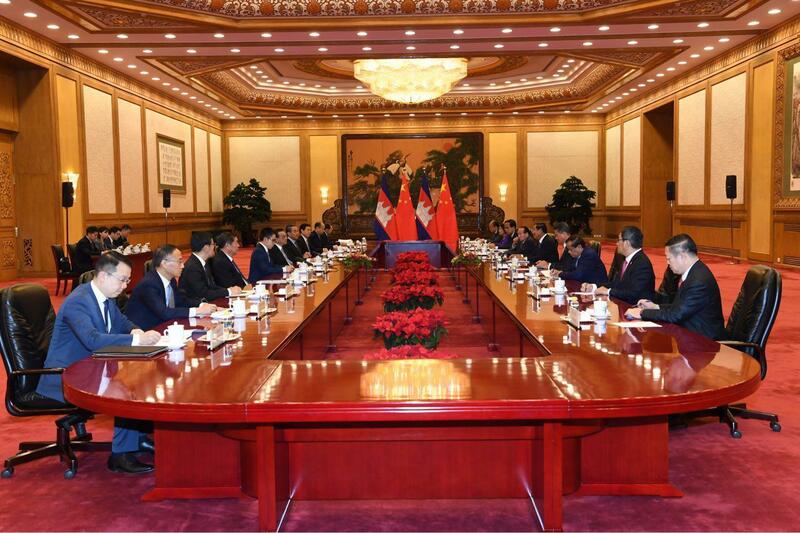 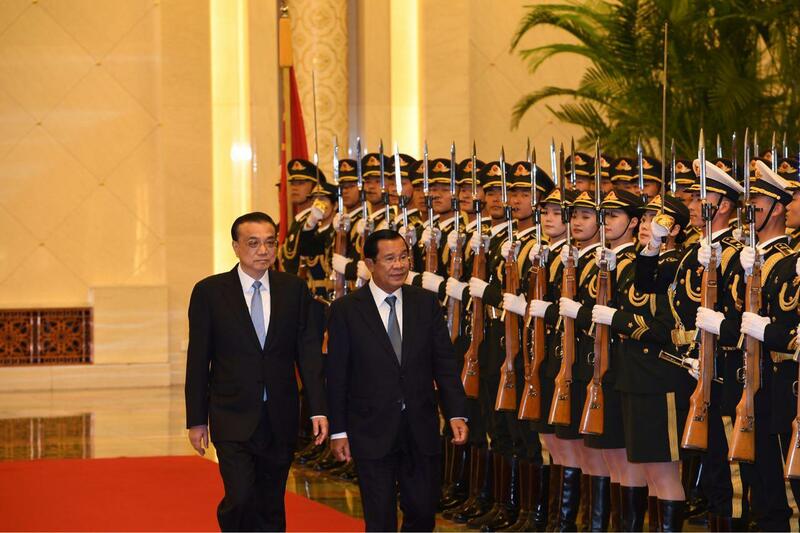 Beijing, China (FN), Jan. 23 – Chinese Premier Li Keqiang warmly welcomed the presences of Cambodia’s Prime Minister Hun Sen and his senior delegation on Tuesday at the China’s Great Hall of the People, a state building located at the western edge of Tiananmen Square in Beijing. 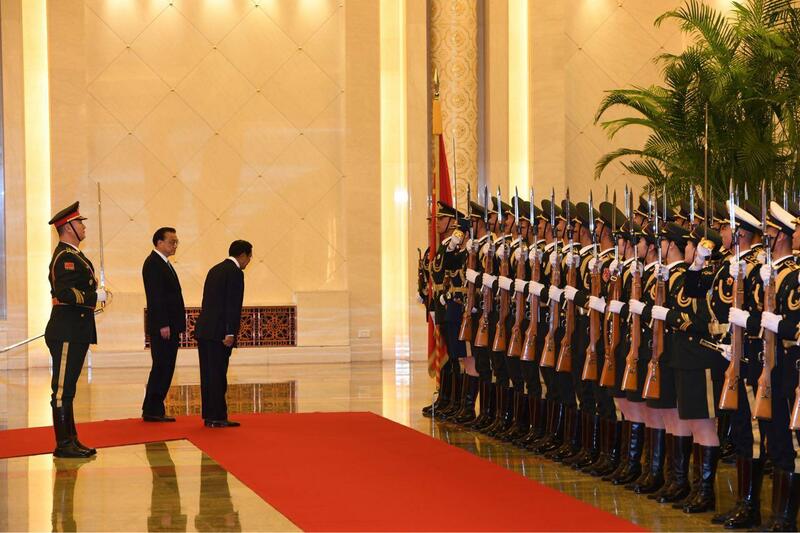 Accompanied by the red carpet and honorary troops, both sides respect the anthem of one another. 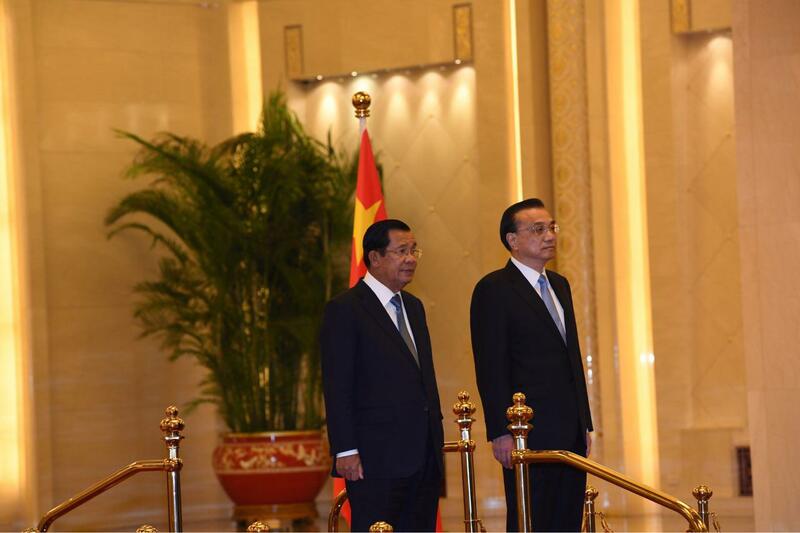 It is the first Head of Royal Government’s official visit to China in 2019. 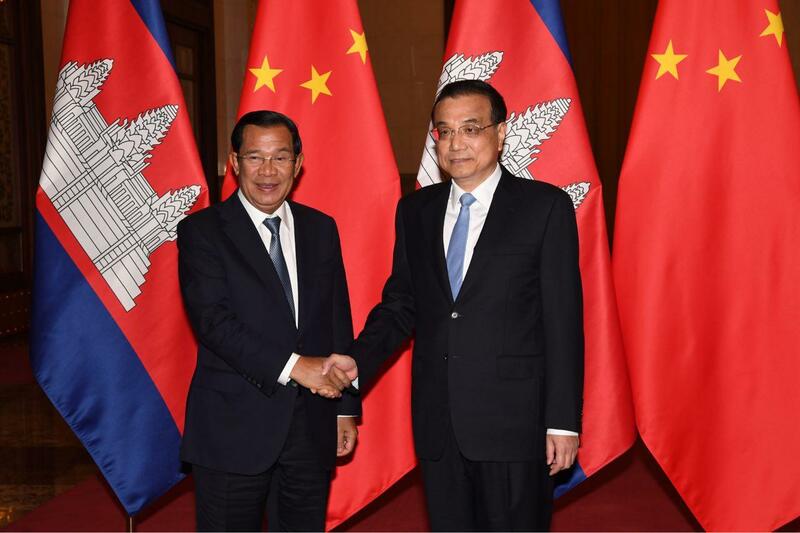 Premier Li expressed his congratulations to Samdech Techo and the Cambodian People's Party for the landslide victory of the general election in July, and the reappointment of Samdech Techo as the Prime Minister of Cambodia in the sixth mandate. 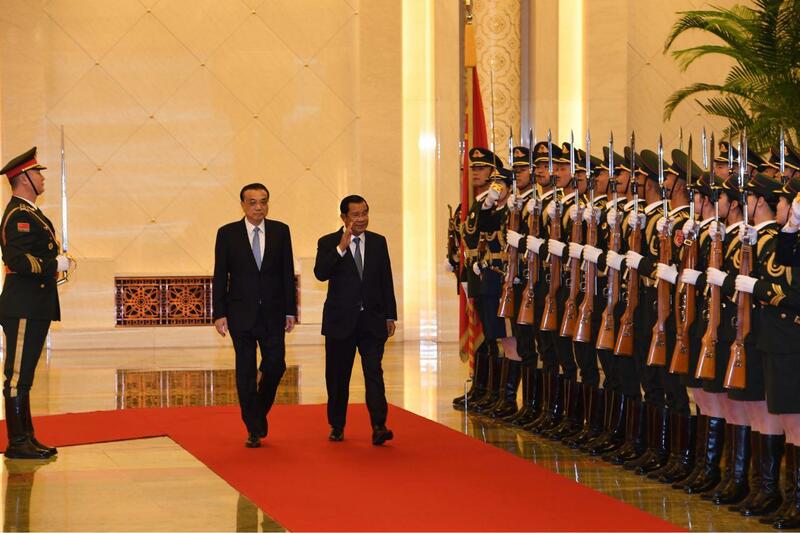 He said the Strongman’s visit to China aims to promote Sino-Khmer relations based on mutual respect and interests. 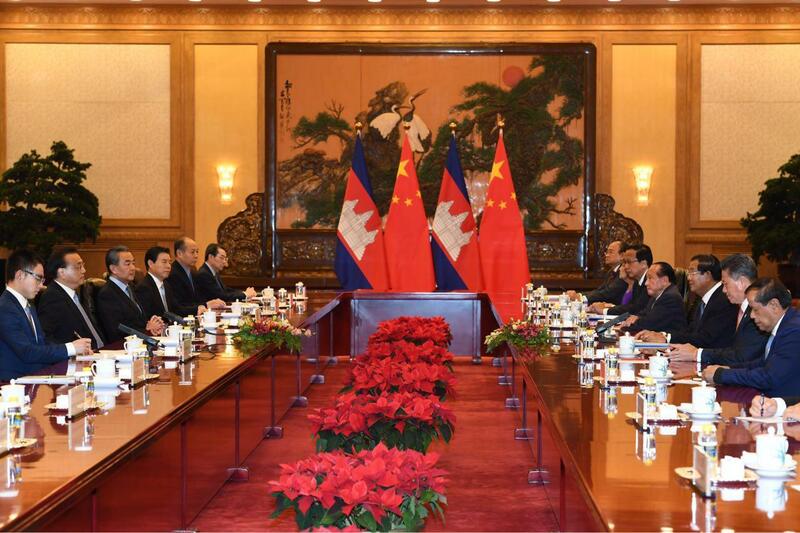 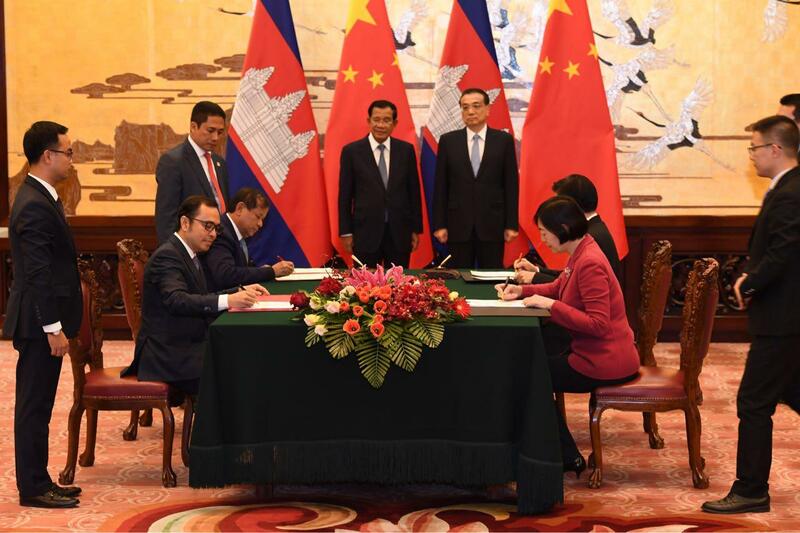 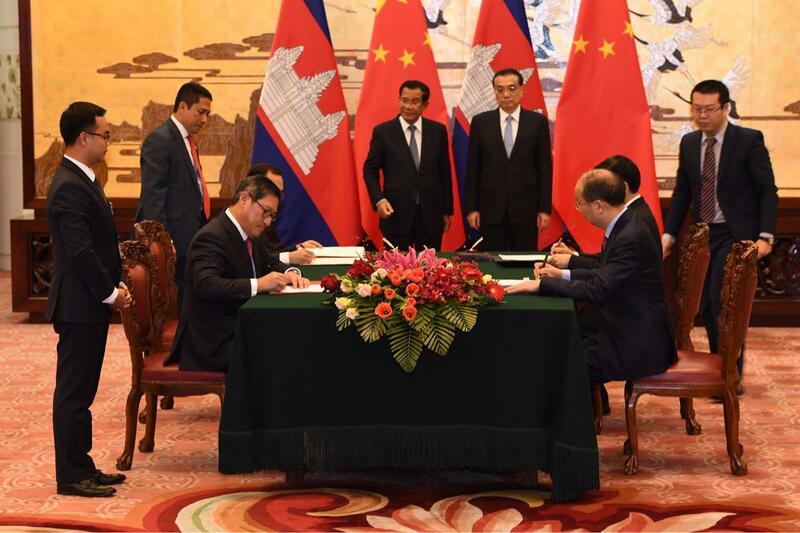 Both also reviewed Li’s official visit to Cambodia in early 2018 and the participation to Lancang-Mekong Summit, a platform to strengthen regional cooperation and integration among the six Mekong countries – Cambodia, China, Laos, Myanmar, Thailand, and Vietnam. 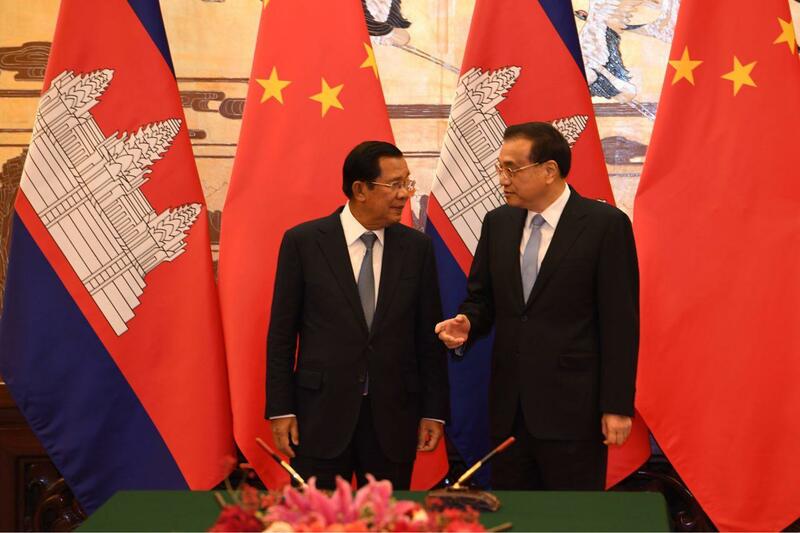 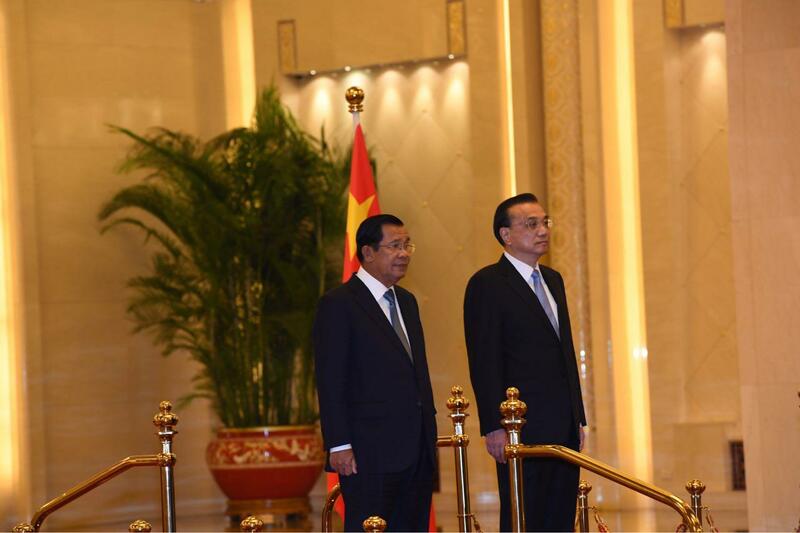 Prime Minister Hun Sen stated that Premier Li’s visit played a significant role in strengthening the friendship and cooperation of China-Cambodia. 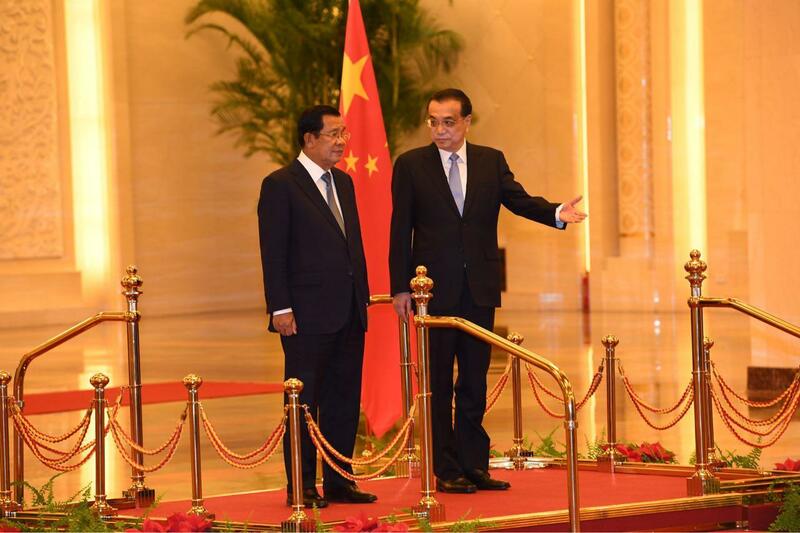 Prime Minister congratulated China on the 70th anniversary of the founding of the People's Republic of China, and the 40th anniversary of the reform and opening, which transformed China to the world’s second largest economic superpower. 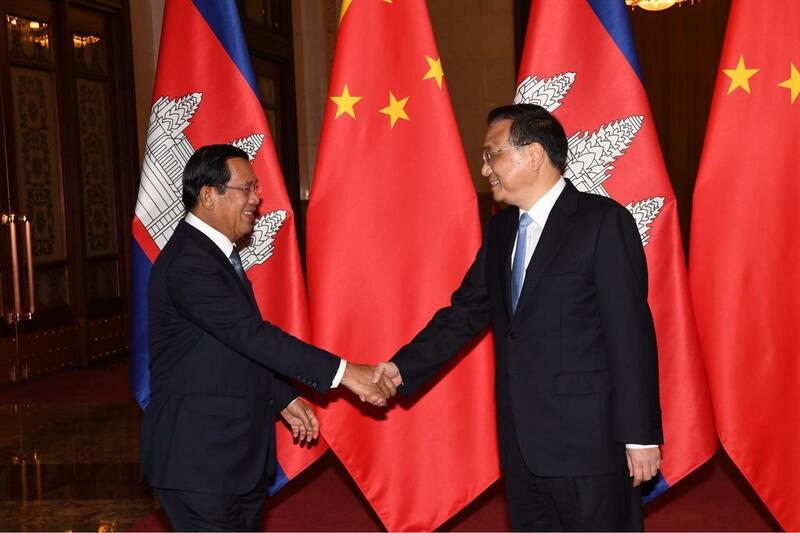 The Strongman of Cambodia also informed Premier Li the general political and social situations in Cambodia, a stable economic growth of 7% per annum, reforms, and the government’s commitment to fulfill the promise during the elections. 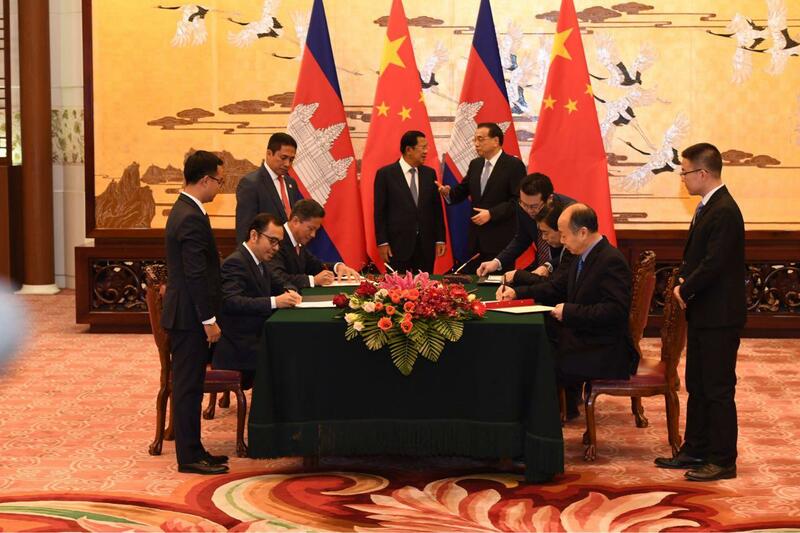 He expressed gratitude to Li for supporting Cambodia’s temple conservation project and providing scholarship to develop Cambodian human resources, particularly thanked China’s commitment to import Cambodian rice and other products by doubling the quota, to be specific the 200,000 tons of rice in 2018 to 400,000 tons amid the trade threats from the EU.